Mr. Bill Saravinovski has been elected as the first Mayor of the new Bayside Council. He was previously mayor for the former Rockdale Council. Councillor Saravinovski is very popular in the area and he won the ballot of Mayor 10 votes to five. 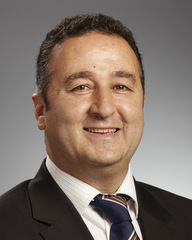 In Bayside council, Liberal Paul Sedrak and Labor’s Joe Awada were both nominated for the Deputy Mayor position. Councillor Awada was elected after a secret ordinary ballot. He is well respected personality in Arab and all other communities. 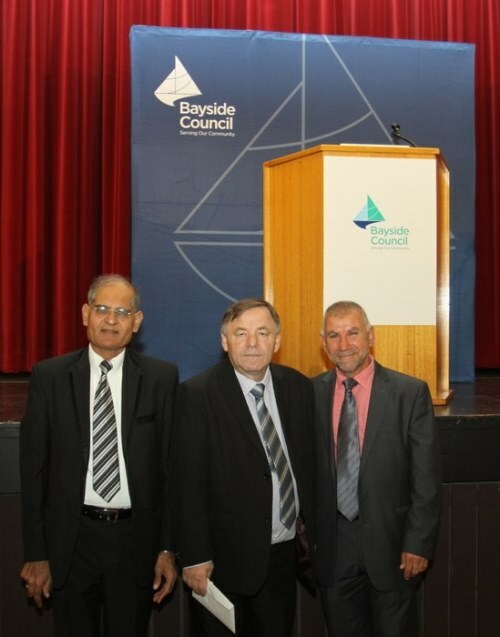 Bayside Council brings together the city of Botany Bay and Rockdale City Councils. It was established by Proclamation on Friday 9 September 2016.The City covers approximately 55 square kilometres and has an estimated population of 156,500. 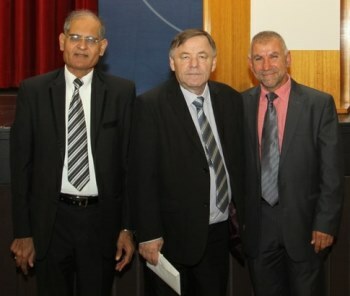 On Thursday, 24th May 2018, Bayside Council hosted a Ramadan Iftar dinner at the Rockdale Town Hall. This year Iftar dinner was attended by Councillors, Scholars, few Media Personalities, Businessmen, Social Workers and Local Community leaders. Everyone enjoyed the dinner and spoke about Interfaith Harmony, Peace and tolerance. Sheikh Kamal Mousselmani, head of the Supreme Islamic Shia Council of Australia speaks about Islam and said there is No link between Terrorism and Islam because Islam teach peace for everyone. He said that people of different faith can play important role for unity between Multicultural communities settled in Australia. 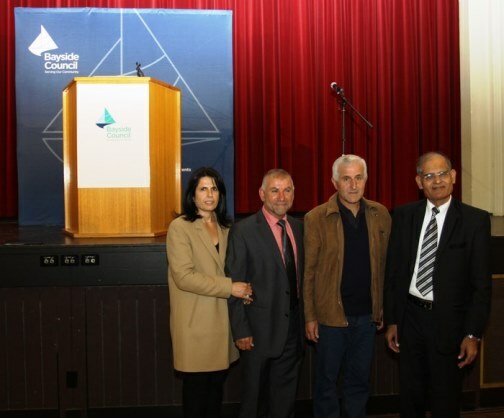 Later Mr Joe Awada invites Mayor of Bayside Council Mr. Bill Saravinovski who welcomes all guests and said our Bayside council is Multicultural Australian where everyone respect other person’s faith, religious, culture and values. Mayor Bill Saravinovski appreciates positive role of Muslim community and greet advance Eid Mubarak. Mayor Bill highly appreciates Hon. Shaoquett Moselmane MP who starts tradition of this Iftar dinner when he was Mayor of Rockdale council. Mayor of Bayside Council Mr. Bill Saravinovski said that Hon. Shaoquett Moselmane always attend this Iftar dinner but tonight he stuck in Parliament due to voting on one important issue & unable to attend but he expressed his best wishes to all friends. Popular young Councillor Tarek Ibrahim thanks all guests and said Bayside Council is serving in unique way and trying our best to provide all facilities to the residences. Councillor Tarek Ibrahim said that month of Ramadan gives important chance for people from all walks of life to meet together, discuss and share experiences with others to increase friendships. He said that this Ramadan let us celebrate the way in which this festival of peace, reflection and religious devotion brings people closer together.